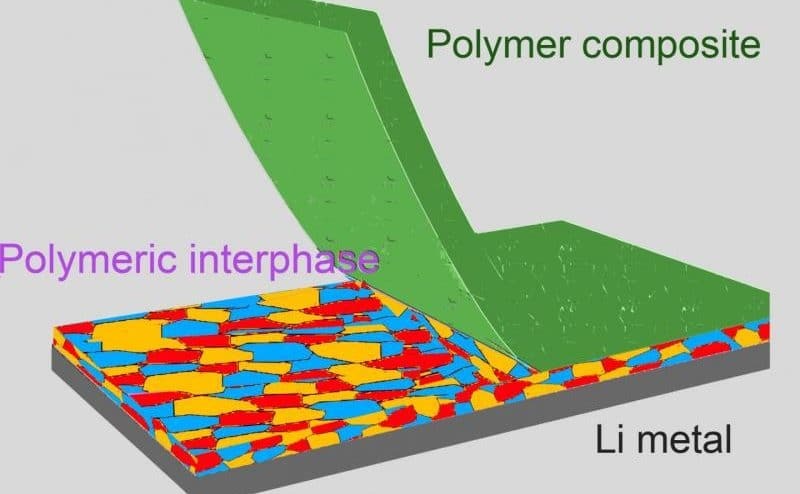 According to Penn State researchers, rechargeable lithium metal batteries with increased energy density, performance and safety may be possible with a newly-developed, solid-electrolyte interphase (SEI). As the demand for higher energy density lithium metal batteries increases for electric vehicles, smartphones, and drones, stability of the SEI has been a critical issue halting their advancement because a salt layer on the surface of the battery’s lithium electrode insulates it and conducts lithium ions. “This layer is very important and is naturally formed by the reaction between the lithium and the electrolyte in the battery. But it doesn’t behave very well, which causes a lot of problems.”, said Donghai Wang – professor of mechanical and chemical engineering. One of the least understood concepts of lithium metal batteries is the degradation of the SIĘ, which contributes to the development of dendrites. They are needle-like formations, that grow from the lithium electrode of the battery and negatively affect performance and safety. “This is why lithium metal batteries don’t last longer. The interphase grows and it’s not stable. In this project, we used a polymer composite to create a much better SEI.”, Wang said. Led by chemistry doctoral student Yue Gao, the enhanced SEI is a reactive polymer composite consisting of polymeric lithium salt, lithium fluoride nanoparticles and graphene oxide sheets. 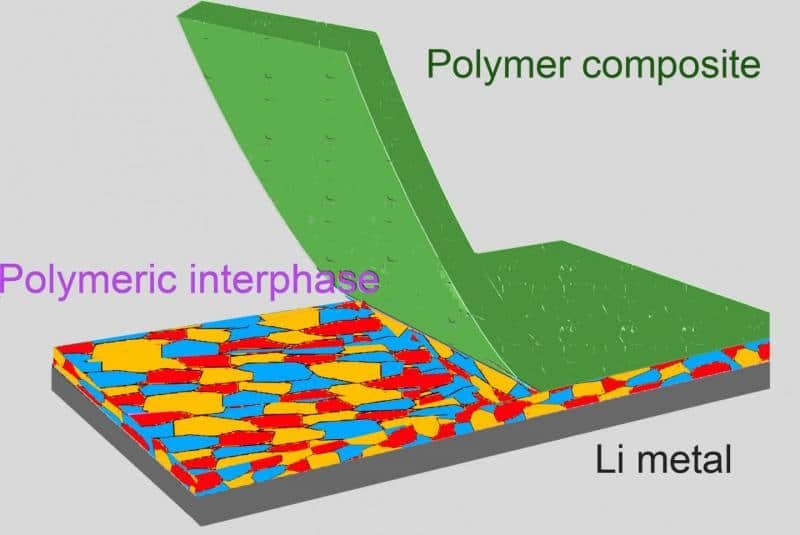 The novel construction of this battery component has thin layers of aforementioned materials, which is where Thomas E. Mallouk, Evan Pugh University Professor of Chemistry, lent his expertise. “There is a lot of molecular-level control that is needed to achieve a stable lithium interface.”, Mallouk said. “The polymer that Yue and Donghai designed reacts to make a claw-like bond to the lithium metal surface. It gives the lithium surface what it wants in a passive way so that it doesn’t react with the molecules in the electrolyte. The nanosheets in the composite act as a mechanical barrier to prevent dendrites from forming from the lithium metal.”, he added. “When we engineer batteries, we don’t necessarily think like chemists, all the way down to the molecular level, but that’s what we needed to do here.”, said Mallouk. “With a more stable SEI, it is possible to double the energy density of current batteries, while making them last longer and be safer.”, Wang said.